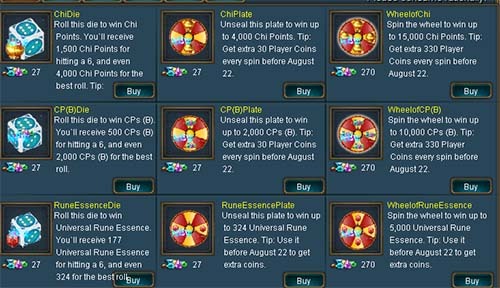 The player coin which heroes win from Player Coin Die, Player Coin Plate and Wheel of Player Coin can be used to participate in below event. 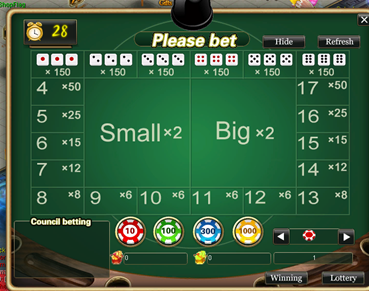 Heroes can talk with Poker Master (Twin City 348,484) to participate in the event. Heroes can flip different kinds of card by consuming player coin. Heroes can exchange relevant reward with the relevant card. 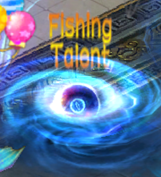 Heroes also can come to Fishing Talent transport point (Twin City 343,489) to participate in Fishing Talent. 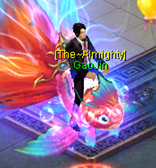 In fishing talent, heroes can talk with Neptune chaser to fire the gun to catch fish for treasure with player coin. 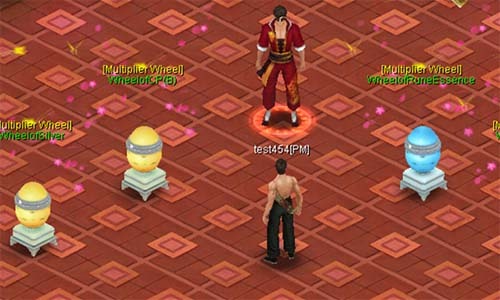 Heroes also can talk with Gao Jin (Twin City 339,489) to exchange reward with player coins or claim free game items. Heroes can come to Red Pocket Snatching transport point (Twin City 343,489) to participate in Red Pocket Snatching. 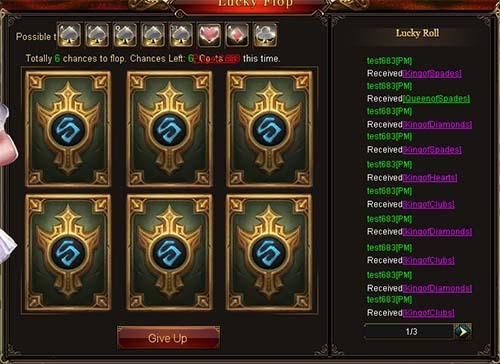 There are two levels of red packets: 1000000 Silver and 10000000 Silver. Each participant needs to pay a guarantee deposit of 1000000 Silver for 1000000 Silver Red Packet or 10000000 Silver for 10000000 Silver Red Packet. 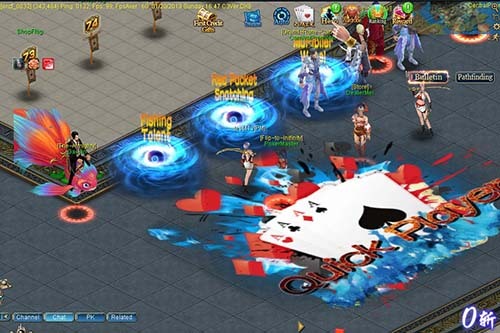 Red Pocket Snatching requires 5 participants for 1000000 silver snatching and 10 participants for 10000000 silver snatching. 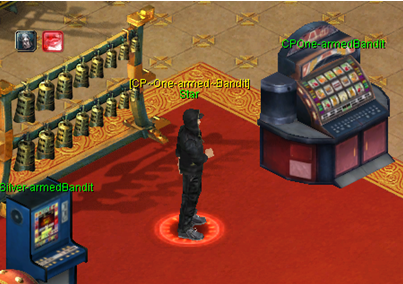 There are still CP One-armed Bandit and Silver-armed Bandit in the map. 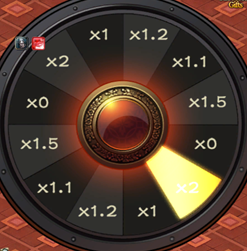 Heroes can choose different wheel to bet different items. And then heroes can talk with Shi Yijian draw roulette. Heroes can talk with Chen Jincheng to participate in the event by using your player coins and roll dice to win wonderful rewards. Entry Fee: 1,000,000 silver or 100,000 Ticket. 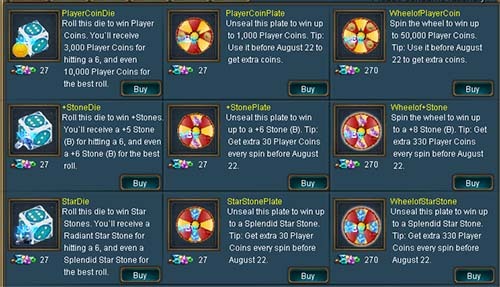 Heroes can re-buy 6 times during the tournaments (800,000 silver for 100,000 Chips) and add-on 2 times (1,500,000 silver for 150,000 Chips).